Heights is the dramatic story of a woman who works as a wedding photographer while dreaming of becoming professional photojournalist. Her career woes cross over into her personal life as she is engaged to be married to a man that she isn't sure she wants to be married to. Her mother adds an additional complication to her life, as she is seeking to end her marriage and engage in an affair with a younger man. 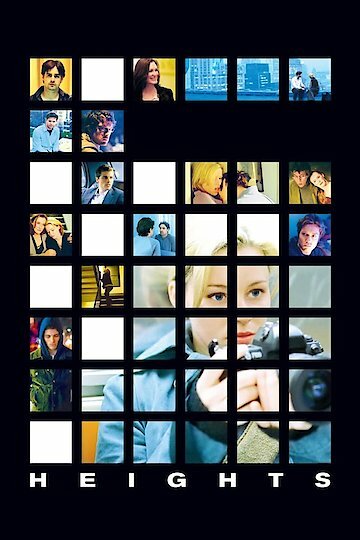 The movie centers around the photographer deciding if the relationships she has with people are worth it. Heights is currently available to watch and stream, download, buy on demand at Amazon Prime, Amazon, Vudu, Google Play, FandangoNow, iTunes, YouTube VOD online.